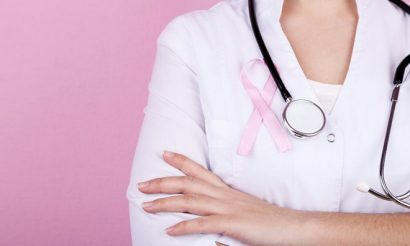 Results from the pivotal Phase III monaleesa-2 study show LEE011 (ribociclib) plus letrozole significantly extended progression-free survival (PFS) compared to a standard of care, letrozole, as a first-line treatment in postmenopausal women with hormone receptor positive, human epidermal growth factor receptor-2 negative (HR+/HER2-) advanced or metastatic breast cancer (median PFS, 95% CI (19.3 months – not reached) vs. 14.7 months (13.0 – 16.5 months); HR=0.556; p=0.00000329). The results demonstrate that LEE011 plus letrozole reduced the risk of death or progression by 44% over letrozole alone. The combination significantly improved PFS across all patient subgroups, regardless of disease characteristics or demographics. More than half of women with measurable disease taking LEE011 plus letrozole saw their tumour size shrink by at least 30% (overall response rate (ORR) in patients with measurable disease = 53% vs 37%, p=0.00028). “The monaleesa-2 results show the combination of LEE011 plus letrozole represents a significant step forward in the management of HR+ metastatic breast cancer and, if approved, would be a major addition to the treatment options these patients have,” said Gabriel Hortobagyi, MD, Professor of Medicine, Department of Breast Medical Oncology, Division of Cancer Medicine, The University of Texas MD Anderson Cancer Center and trial leader. Most adverse events in the trial were mild to moderate in severity, identified early through routine monitoring, and generally managed through dose interruption and reduction. The discontinuation rate due to adverse events was 7.5% for LEE011 plus letrozole and 2.1% for letrozole alone. “We are excited about these strong results that show LEE011 has the potential to be an effective first-line treatment option that could improve outcomes for women with HR+/HER2- advanced breast cancer,” said Novartis Oncology’s CEO, Bruno Strigini. Trial findings validate the use of a selective CDK4/6 inhibitor in combination with hormonal therapy as initial treatment for HR+/HER2- advanced breast cancer. Due to the significant extension of PFS and clinical benefit seen with LEE011, analysis of the primary endpoint (PFS) in monaleesa-2 was stopped early in May 2016 as recommended by the Independent Data Monitoring Committee. Follow up to measure overall survival is ongoing. LEE011 (ribociclib) is a selective cyclin dependent kinase inhibitor, a new class of drugs that help slow the progression of cancer by inhibiting two proteins called cyclin dependent kinase 4 and 6 (CDK4/6). These proteins, when over-activated in a cell, can enable cancer cells to grow and divide too quickly. Targeting CDK4/6 with enhanced precision may play a role in ensuring cancer cells do not grow uncontrollably. LEE011 has been studied in non-clinical models and is currently being evaluated in combination with additional endocrine agents as part of the MONALEESA (Mammary ONcology Assessment of LEE011’s Efficacy and SAfety) clinical trial program. LEE011 is not approved for any indication in any market at this time. LEE011 was developed by the Novartis Institutes for BioMedical Research (NIBR) under a research collaboration with Astex Pharmaceuticals.